The Hamptons is well known as that beautiful stretch of stylish homes in the seaside “East End” of Long Island, New York. The interiors of most homes there take mostly from the ambiance of the place and the surrounding community. It’s all about mirroring the elegant, hip, and relatively relaxed life by the beach. You can begin by combining the earthy hues of the French farmhouse with the refreshing shades of the beach like pale blue or navy. This provides your space with a balanced palette, giving it that calm vibe while still keeping the look polished. 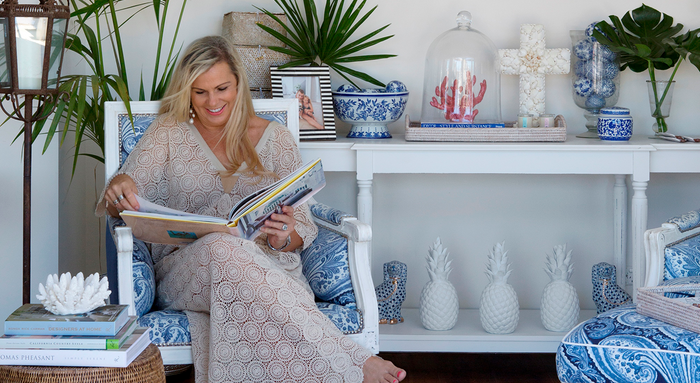 Life by the sea also allows you to maximize the range of textures you can include in styling your home. From the grooves of seashells to grainy sand-like surfaces, these elements can actually jive well with the smooth wooden panels of most farmhouse-inspired interiors. The idea behind French farmhouse interiors is to reflect the idyllic lifestyle of the countryside. This is often manifested through distressed wood surfaces and aged metal accents. How then do you combine this shabby chic look with the laid-back sophistication of the Hamptons? Bring in the tufted or buttoned linen furniture. The linen gives the space a comfortable appeal while the tufts or button accents lend it that refined look. One of the things that these two styling themes have in common, is using white or neutral as a base or main colour. This hue helps keep the interiors look light and breezy, as is the most remarkable aspect of homes in the Hamptons. 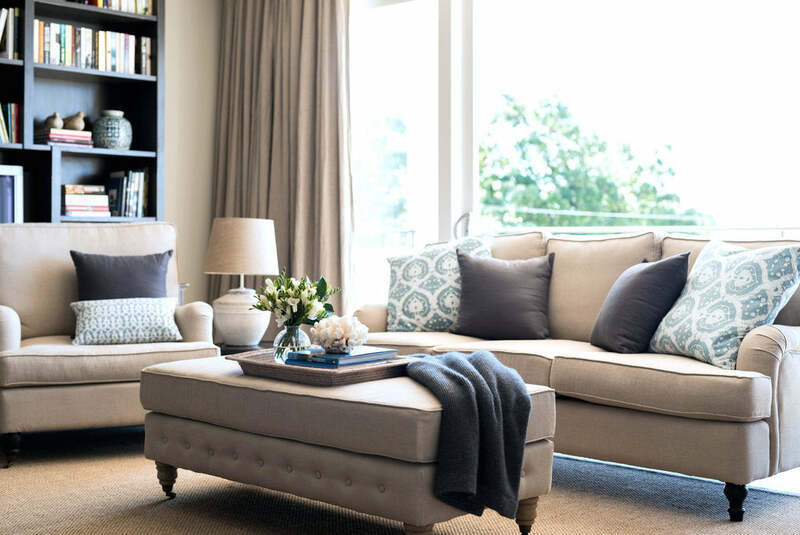 You can balance the white and neutral shades of the space with duck egg blue, navy and timber tones. Don’t be afraid to add some vibrant colours into the mix to break the colour monotony. You’d want to stay close to nature’s palette by adding the occasional blue throw pillow, green vase, or soft pink flowers. French farmhouse styling and decorating a Hamptons home do have another common element, and that is the use of more organic textures. A sisal rug in your living room will blend beautifully with your oak and iron table. Wicker baskets or trays in place of metal or plastic containers will render an interesting dimension to your interiors. Printed or plain linen throw pillows will make your living area more casual and inviting, while still maintaining the lovely elegance of a Hamptons home. Lavender Hill Interiors has launched a creative collusion of french farmhouse simplicity with America's iconic marque for relaxed refinement. It's a living room that brings the Hampton's sea breeze into the earthy French Provincial - and fuses the two. The resulting combination is relaxed, warm, accessible and yet refined. The Hamptons Living Room collection includes natural linen roll arm sofas and armchairs, Sea Mist cushions, stone lamps and oak and iron coffee tables. All the pieces are superbly crafted from solid oak and pure linen or cotton and at highly affordable prices.